The elegant Swiss Garden Residences Kuala Lumpur enjoys a fantastic location in the heart of the city, just between the vibrant area of Bukit Bintang and lively Chinatown. The high-rise building expertly combines post-modern architecture with contemporary style interior design. Guests will appreciate a large variety of excellent services and amenities, including a traditional Balinese style spa and an outdoor infinity pool. Times Square and Sg Wang Plaza are within walking distance; the iconic Petronas Twin Towers are about 8 km away. 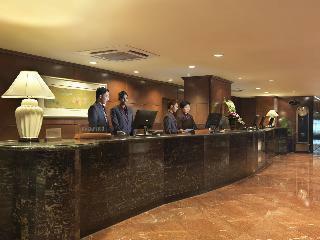 The hotel is nestled beautifully in the heart of Sri Hartamas. 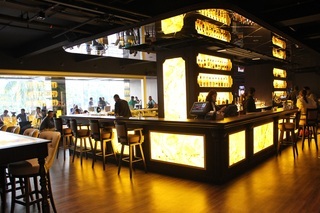 It has a tempting array of many eateries, ranging from local delights, Japanese, Chinese, French and Italian. 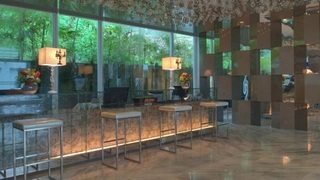 The hotel features a lobby with a hotel safe and lift access as well as a TV lounge. Other facilities include children's playground, cafe and restaurant. The hotel has cosy and stylish studios that come equipped with double beds, sofa lounges and satellite LCD TVs. In addition a fully equipped kitchens with fridges, microwaves and tea and coffee making facilities. The en-suite bathrooms feature a shower and a hairdryer. The suites are all are equipped with Internet access and a safe as well as featuring individually regulated air conditioning and a balcony or terrace. The property offers a soothing outdoor swimming pool with hot tub and children's swimming area, poolside snack bar and sun loungers. Enjoying a well-connected setting, this hotel boasts the ideal location from which to explore the delights of Kuala Lumpur. Within minutes, guests will uncover the delights of the National Mosque, Lake Garden, Merdeka Square and the King's Palace. Also within walking distance of the hotel, are an abundance of shopping, dining and entertainment venues. The simplistic, yet comfortable rooms allow for guests to unwind and relax after a busy day of sightseeing or business meetings. Offering professional service and high-quality conveniences, this hotel ensures that guests will enjoy a pleasant, memorable stay. A warm welcome from the front desk staff gives an assurance of privacy and a worry-free stay to all guests as soon as they walk into this modern venue. Conveniently located in Section 19 of Shah Alam's industrial township it is a great choice for anyone who is visiting the area, regardless if it is for business or pleasure. The first group will find the Agricultural Park, I-City and the SACC centre nearby, while those looking for entertainment will be close to the Shah Alam Lake Garden, the Selangor state mosque and museum, and the Wet World Water Park, the last is ideal for a fun-packed family day-out. The onsite outdoor swimming pool is one way to unwind after a long day and guests also can use the hotel's gym. While those looking for a place where to host their next event can explore the extensive facilities that include banquet halls, seminar and conference centre. The hotel offers a relaxing and pleasant stay for guests looking for a convenient location to explore and discover all of Kuala Lumpur's attractions and interesting sites. This air-conditioned hotel provides comfortable accommodation in its 98 guest rooms. Guests are welcomed in the lobby, which offers a 24-hour check-out service, a hotel safe and lift access to the upper floors. Dining options include a cafe and a restaurant. The travellers will appreciate the Internet access. All rooms come with a private bathroom with a shower and a hairdryer. 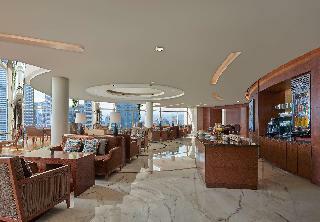 The air-conditioned rooms also come equipped with coffee making facilities, TV and a minibar. A double bed comes as standard. This budget-friendly air-conditioned establishment is strategically positioned on one of Kuala Lumpar's major roads, Jalan Pudu. Due to its locations it offers easy access to the public transport system and guests can find the lively shops and night market of Chinatown just a 5-minute walk away. Business travellers will be pleased to be within a 10-minute drive from the KL Tower and Convention centre, Berjaya Times Square and the trendy Bukit Bintang area.Â Regardless of the reasons why one is visiting, the hotel can perfectly cater for the basic needs. The clean and nicely furnished rooms are decorated with light wood fittings and pleasant neutral colours. There is also complimentary WiFi in all public areas and if they are not able to find some information about the local attractions, the friendly staff is always willing to help. Located in the Golden Triangle, this modern hotel is just a short walk away from the Central Business District and close to Asian Heritage Row with its elegant and charming restaurants, cafés, bars and clubs situated in historical shop houses. Kuala Lumpur City Centre, Petronas Twin Towers and the exclusive shopping facilities of Bukit Bintang are less than 2 km away. Boasting a prime location in a vibrant city, this modern establishment is located along Jalan Bukit Bintang, in the heart of Kuala Lumpur. It is just a few minutes away from shopping centres and vibrant nightlife. 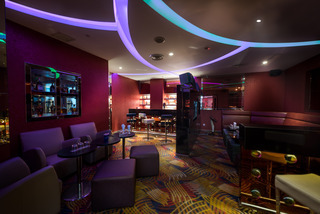 From this establishment, visitors can easily reach some of the popular entertainment and commercial hot-spots, such as Pavilion, Fahrenheit 88 and Berjaya Times Square. This convenient location close to a wide great range of shops, restaurants and leisure options will ensure guests enjoy the ultimate in convenience. This comfortable cosy hotel features a choice of accommodation options to suit all clients' needs. From superior rooms to Executive 3-bedroom suites, they all come with air conditioning and satellite TV, offering a modern design and a friendly service. This hotel is a great choice for those guests wishing to discover this exciting region. Overlooking the iconic Petronas Twin Towers and adjacent to the Kuala Lumpur Convention Centre, this accommodation is an award-winning five-star luxury hotel that is strategically located in the heart of the Golden Triangle shopping and entertainment district. The hotel features spacious guestrooms including elegant suites with floor-to-ceiling windows that maximise natural daylight and best capture panoramic views of the city. For an enhanced experience of luxury, Grand Hyatt Kuala Lumpur presents three vibrant dining options with interactive live show kitchens, seven highly versatile meetings and events space including the Sky Lobby Lounge on the highest floor of the building, a 24-hour fitness centre, a freeform outdoor swimming pool and rejuvenating treatments at Essa Spa. Ideally located in the heart of Bukit Bintang, Kuala Lumpur, Federal Hotel is surrounded by 10 of the city's most popular shopping malls. Sitting in Kuala Lumpur's Golden Triangle, it is a prime location for commercial and entertainment purposes. It is also just a stroll away from Times Square, Bintang Walk, Pavillion, Sungei Wang, and Low Yat Plaza which is the largest IT mall in Malaysia. Kuala Lumpur Convention Centre (KLCC) is 15 minutes walking distance or 10 minutes by car. At the Federal Hotel, guests can unwind at the outdoor pool set amidst a refreshing tropical garden. For those who fancy inexpensive and delicious local eateries, Alor Hawker Street is opposite the property while the Arab Square is a short stroll away. Apart from featuring a fantastic location, Federal Hotel also boast well-appointed rooms that promise in-room facilities needed for a comfortable stay. All things considered, Federal Hotel is excellently located, well appointed, and reasonably priced. Standing tall next to the Federal Highway, Hotel Armada Petaling Jaya is a 5-minute walk from Asia Jaya LRT Station. Offering rooms with free wired and WiFi internet access, it houses a gym, a bar and 2 restaurants.Contemporary guestrooms at Armada are equipped with a flat-screen TV with cable channels and a private bathroom with a hairdryer. Tea/coffee making facilities and a minibar are included.Guests can use the business centre or play a game of billiards. 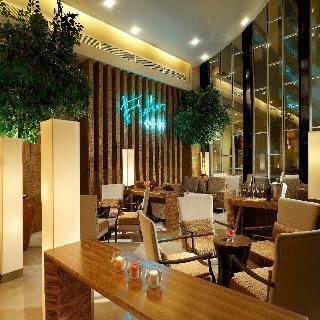 Free parking is provided.Local and Japanese delights are served at the hotel's 2 restaurants. In-room dining is possible. Drinks and live music are available at The Merchant.Hotel Armada Petaling Jaya is about a 6-minute drive from Jaya Shopping Mall, Amcorp Mall and Mid Valley Megamall. Sunway Lagoon is about a 15-minute drive away. Kuala Lumpur Golf and Country Club is about 4 km away. 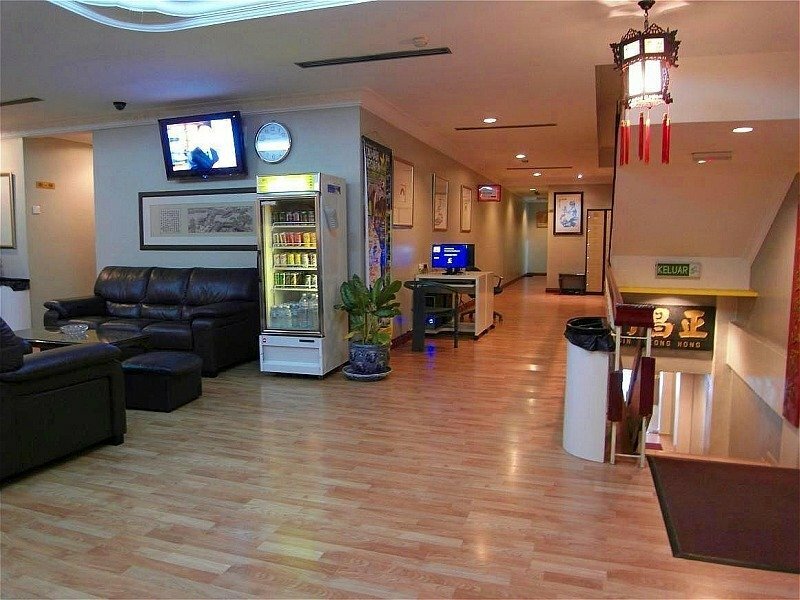 This smart city hotel enjoys a prime location in the financial, business and shopping district of Kuala Lumpur. The KL tower, Merdeka Square, Central Market and Chinatown are all within walking distance, and the iconic Petronas Towers are only two kilometres away. Guests will find shops, restaurants, street food and numerous cultural and historical attractions close by.The elegantly appointed rooms have a warm, inviting look and come with a variety of comforts such as en suite marble bathrooms and high-speed internet access. The hotel also offers studio suites and apartments, making it ideal for long-term stays. After a long day of meetings or sightseeing, guests can relax in the sauna, unwind with a workout in the gym, or go for a swim in the large, covered outdoor pool. 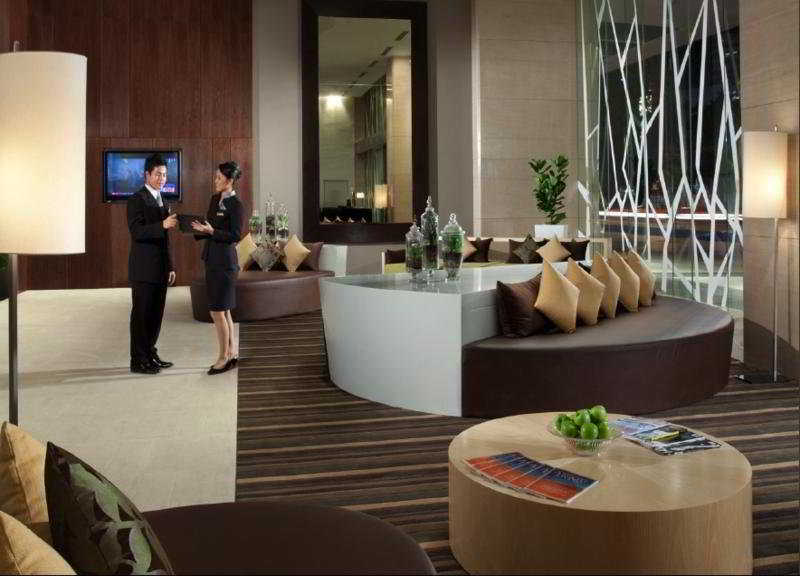 Business travellers might also make use of the meeting rooms for conferences and seminars of up to 200 attendees. This hotel is located in the hub of the business and commercial districts adjacent to Kuala Lumpur's famous Petronas Twin Towers. Chow Kit Market and Zouk Kuala Lumpur are both a 15-minutes drive away. This newly refurbished city hotel comprises a total of 207 spacious rooms, including 107 suites with rustic timber flooring and contemporary furnishings. The stylish interior of the hotel is finished with bamboo panelling, a pathway over the flowing water and elegant furnishings. It is air-conditioned and has a lobby, a safe and lift access. Dining facilities as well as room service are also available. Rooms have specially designed interiors to enable natural light to reach all parts of the room. En suite bathroom, a television and individually adjustable air-conditioning feature as standard. Leisure facilities include a swimming pool and a spa centre. Strategically set within Mid Valley City, the city hotel is only 5 km from the central hub of light rail trains. Centrally located between Kuala Lumpur and Petaling Jaya, it offers convenient access to major industrial areas, key tourist and cultural sites. Elegantly designed, the establishment comprises a total of 390 well-furnished guestrooms. 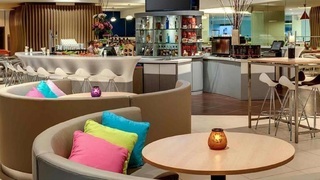 The hotel offers a lobby with 24-hour reception, a safe and currency exchange facilities. Further amenities include a bar and dining facilities as well as room and laundry services. All accommodation units are comfortable and fully-equipped as standard including an en suite bathroom, a satellite TV and a minibar. Individually adjustable air-conditioning is also available. For leisure, guest may make use of the swimming pool in the premises. Situated in the heart of charismatic Kuala Lumpur, Tune Hotel Kuala Lumpur is ideally located with transport options surrounding it. Within walking distance to Sultan Ismail LRT Station and Medan Tuanku Monorail Station, guests have access all over the city as well as direct access to Kuala Lumpur International Airport. 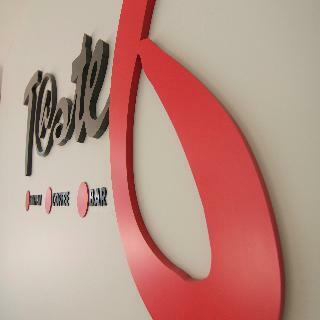 The hotel offers air-conditioned rooms with en suite bathrooms, free wifi, personal safe and toiletries and an ala carte F&B cafe on the ground floor.Tune Hotel Kuala Lumpur is a 5-minute drive from KLCC Shopping Centre, Petronas Twin Towers and nightlife options along Jalan Sultan Ismail. Heritage Row, where popular nightspots are located, is a 7-minute walk away.In addition within the hotel is a 24-hour ATM, laundry services, communal lounges and meeting spaces. Apart from the on-site F&B, guests can enjoy a variety of dining options just a 5-minute walk from the hotel.Limited parking is also available at a charge. 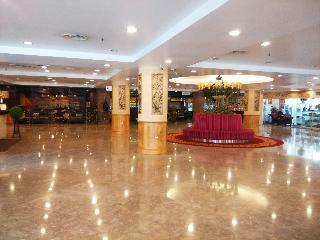 This city and business hotel is located in the Badminton Academy Development in the enchanting city of Kuala Lumpur. The complex offers 10 badminton courts, and was established by four former national badminton players. 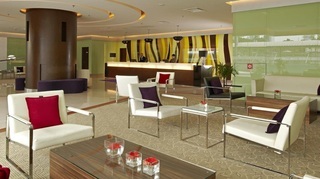 The hotel is situated within easy access of a host of shops, restaurants and attractions the city has to offer.Â Kuala Lumpur International Airport is situated just a 50 minutes' drive from the hotel and Sultan Abdul Aziz Shah Airport is just 15 kms away.The hotel greets guests with serene, soothing surroundings, comfortable accommodation and warm hospitality. The guest rooms feature white and neutral tones, evoking an atmosphere of tranquility and offering the ideal surroundings in which to relax and unwind. 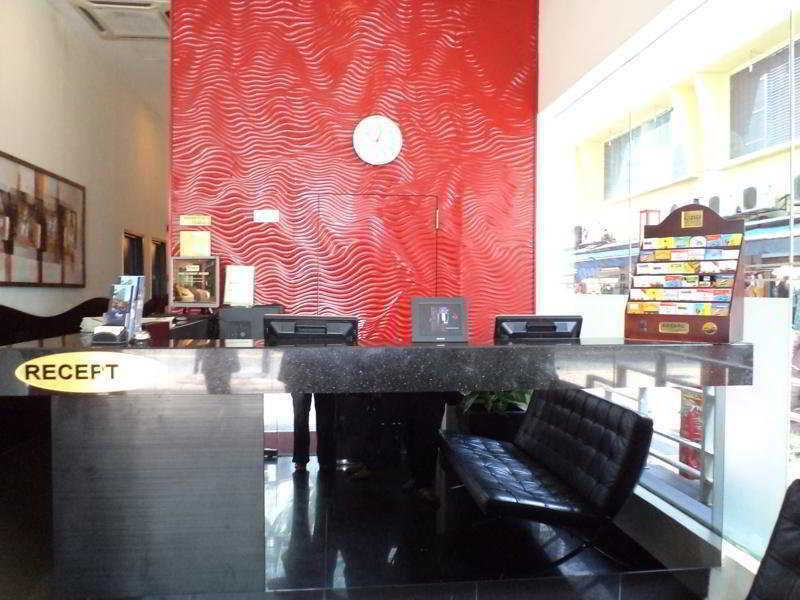 The city hotel occupies a prime location in Kuala Lumpur, located within a 10-minute walk from Times Square and Pavillion Mall, Bintang Walk and Imbi Monorail Station. Kuala Lumpur International Airport is reachable within a 45-minute drive from the hotel. 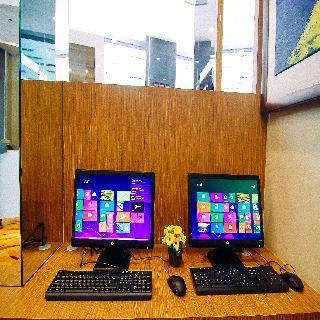 The hotel offers a modern, stylish and comfortable stay in the city. 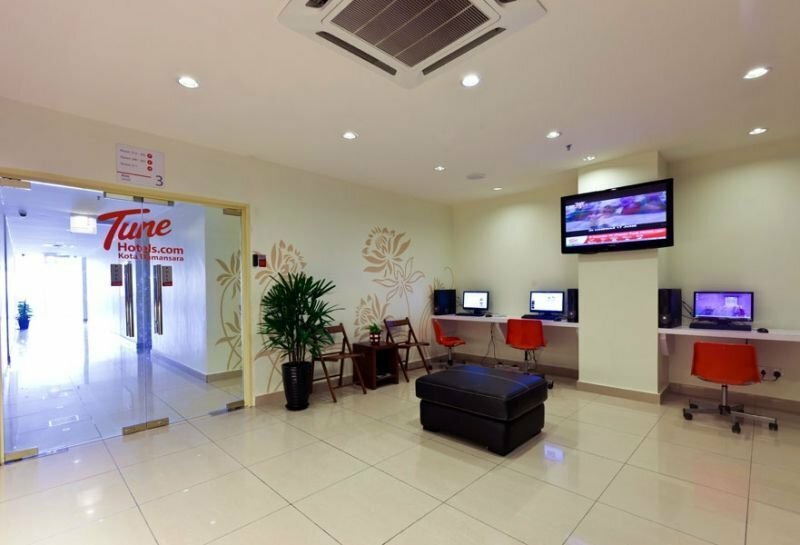 Its indisputable strength is its location ensuring a comfortable stay for guests seeking for accommodation in Kuala Lumpur. All the guest rooms are elegantly furnished with modern amenities such as LCD flat screen television, small fridge and in-room safe box. The hotel rooms are equipped with hairdryers, coffee and tea making facilities and Wi-Fi to ensure great comfort and convenience. This stylish apartment hotel is situated on the prestigious Embassy Row. Surrounded by embassies, business and financial centres, the aparthotel provides the ultimate convenience in terms of location. The Petronas Twin Towers, Menara Citibank and Menara ExxonMobil are close by, along with the Ampang Park LRT station that offers easily accessible and quick inter-city transportation. Its prime location is within easy reach of Kuala Lumpur's Golden Triangle - the business, shopping and entertainment district marked by Jalan Ampang, Jalan Sultan Ismail and Jalan Tun Razak. Guests can enjoy the many dining options at the restaurants, cafes and food centres while shopping at the nearby Suria KLCC Mall, and the Ampang Park Shopping Complex. Ideal for executives and families on business or leisure travel, each spacious apartment is fully furnished with designer fittings and modern amenities.